Hyundai Motor, South Korea’s No. 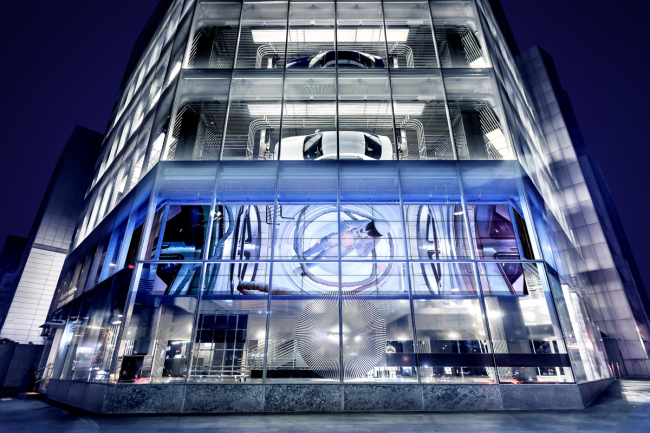 1 automotive firm by sales, kicked off a media art project prepared simultaneously in Seoul, China and Russia dubbed “Future Humanity -- Our Shared Planet,” which aims to contemplate the future of humanity and mobility, the company said Thursday. The exhibition, which was made jointly with media art group Ars Electronica, began in Beijing and will open in Seoul later this week followed by Moscow later this month. 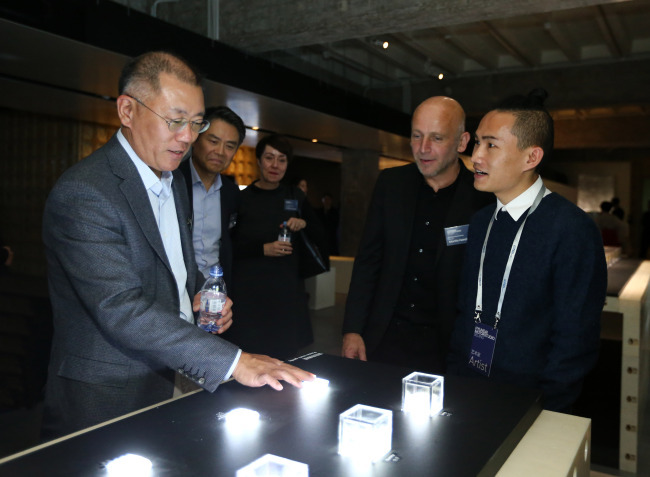 The opening ceremony of the exhibition at Hyundai Motor Studio Beijing was attended by Hyundai Motor Chief Vice Chairman Chung Eui-sun and some 60 officials, including Cornelia Schneider, vice president and head of Hyundai’s Space Innovation, and Director of Ars Electronica Festival Martin Honzik, the company said. The exhibition will display about 25 art pieces created by 19 artists from different countries at each studio.